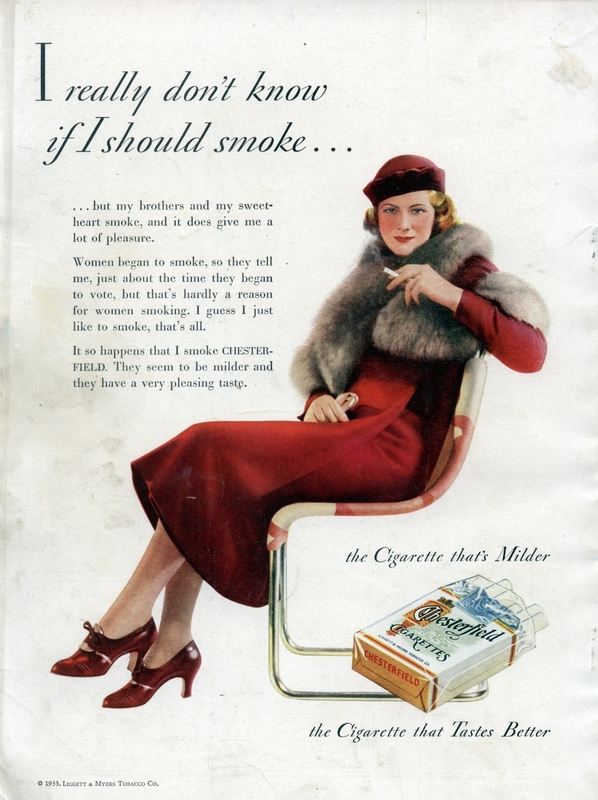 As vintage smoking advertisements seem to be more and more popular I have decided to publish some of the most interesting finds in the web concerning cigarettes, tobacco etc. 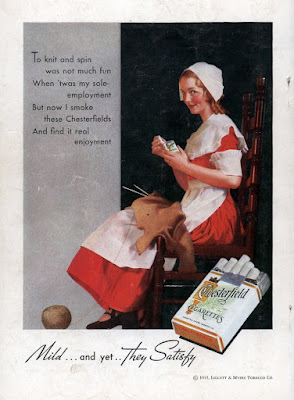 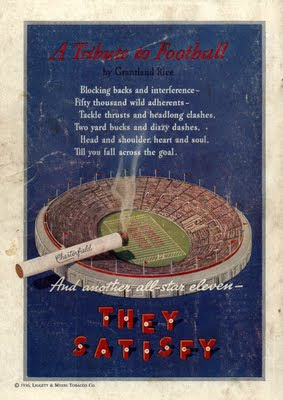 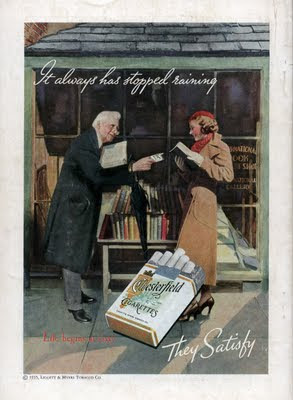 Let us start with Chesterfield cigarettes magazine advertisements. 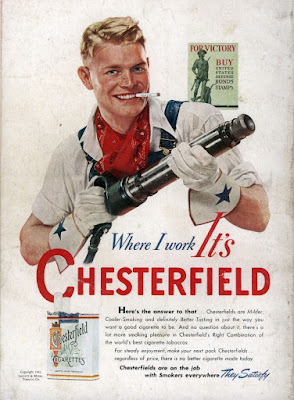 The Chesterfield brand was introduced by Liggett & Mayers in 1912 as a Turkish-Virginia blended cigarette. It was named after Chesterfield County in Virginia. 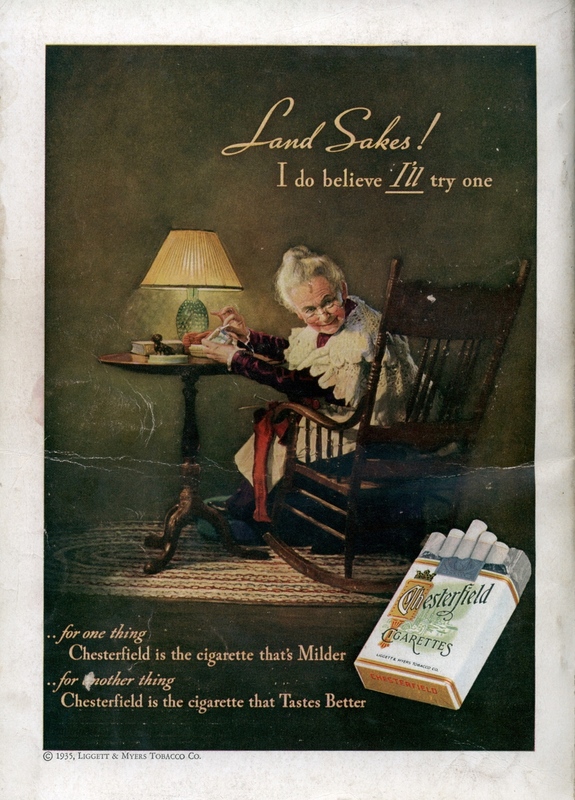 Using the Chesterfield brand Liggett & Myers was the first to offer two sizes of cigarette, king size and regular in 1952. The Chesterfield brand was sold to Philip Morris in 1999. 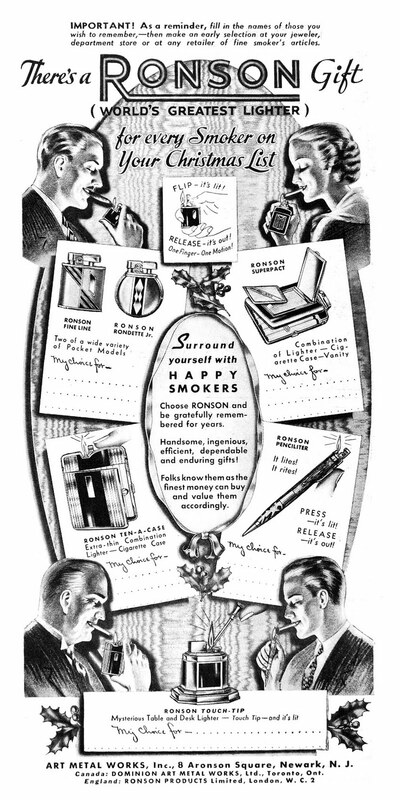 This Art Metal Works (Ronson) vintage magazine advertisement was published in the Christmas edition of Esquire in December 1935. 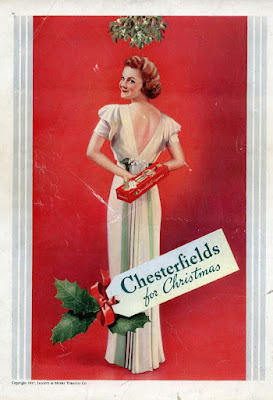 It depicts the basic range of pocket Ronson lighters as well the popular Touch Tip Octette.